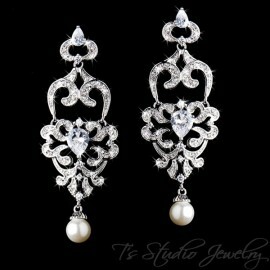 Very romantic! 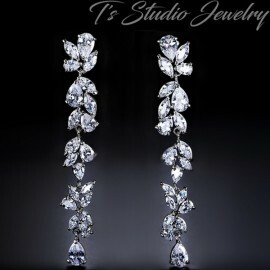 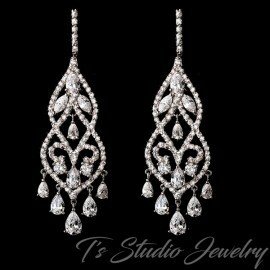 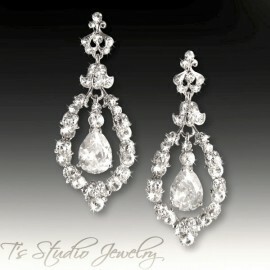 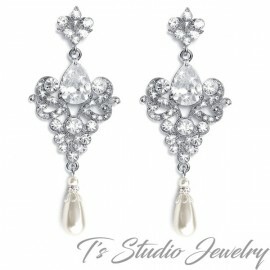 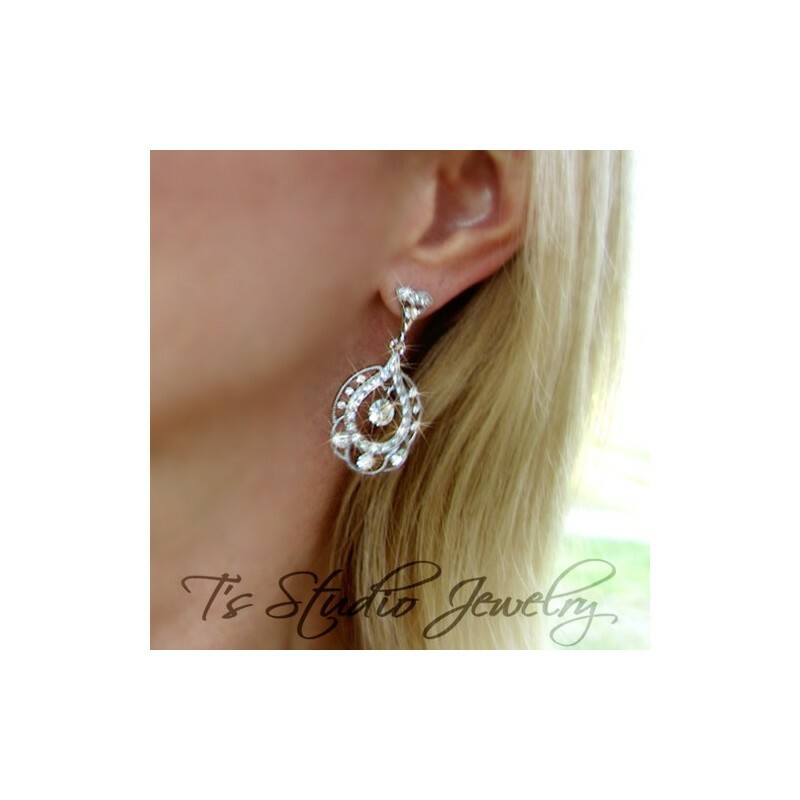 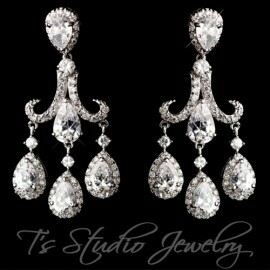 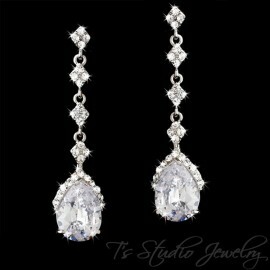 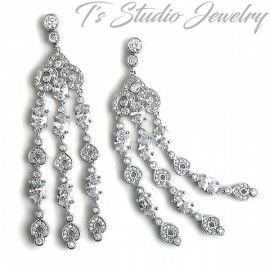 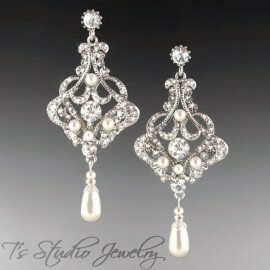 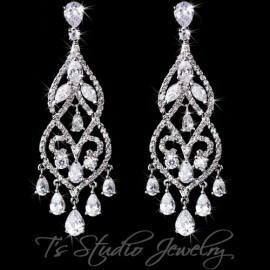 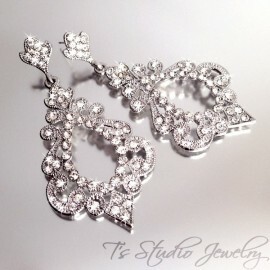 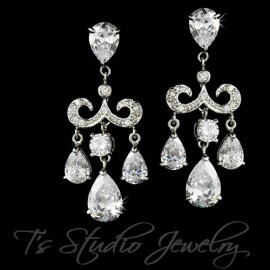 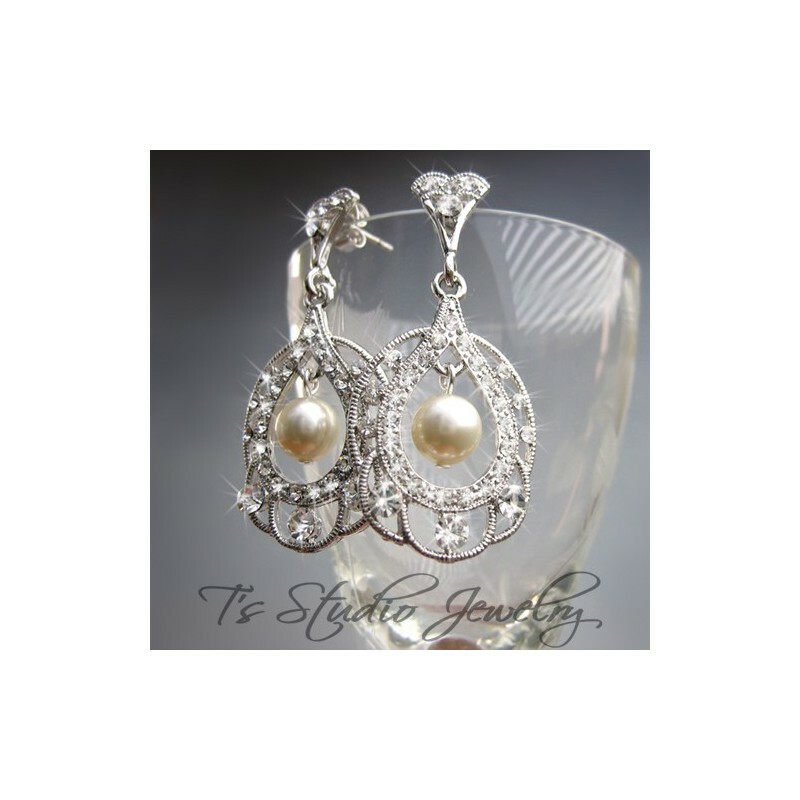 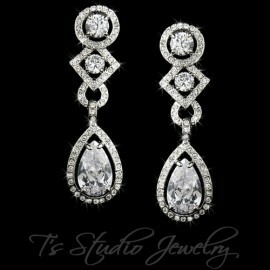 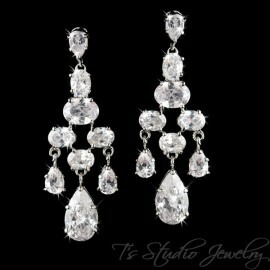 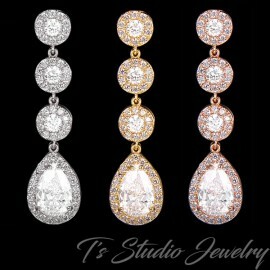 Swarovski crystal encrusted rhodium plated silver hoops. 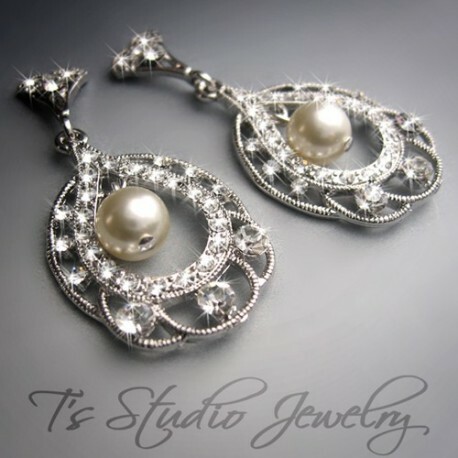 A round pearl hangs from the center. 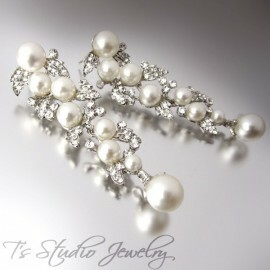 Post style backs. 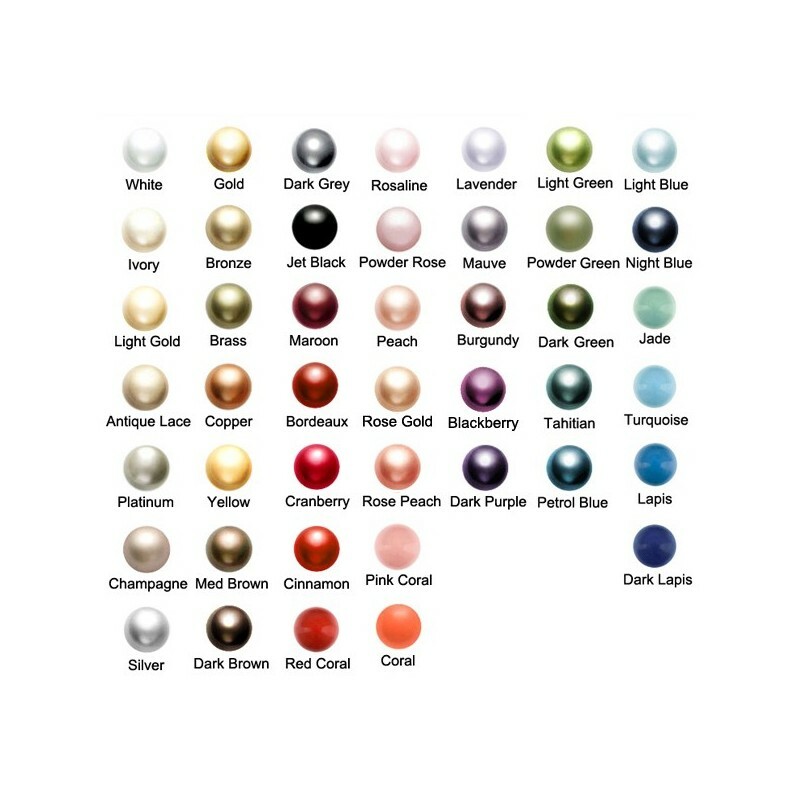 Available in several pearl colors, see color chart in last photo. 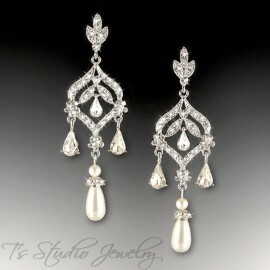 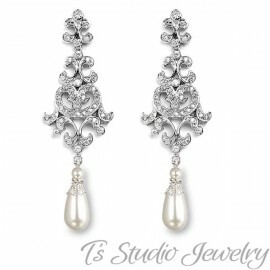 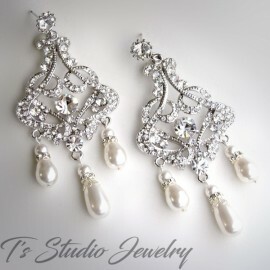 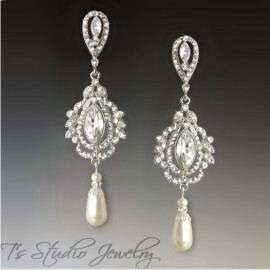 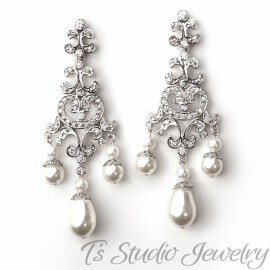 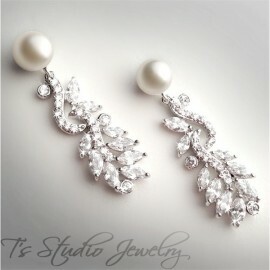 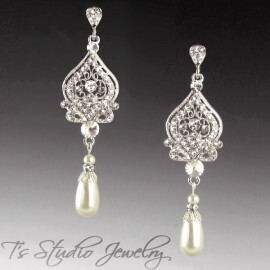 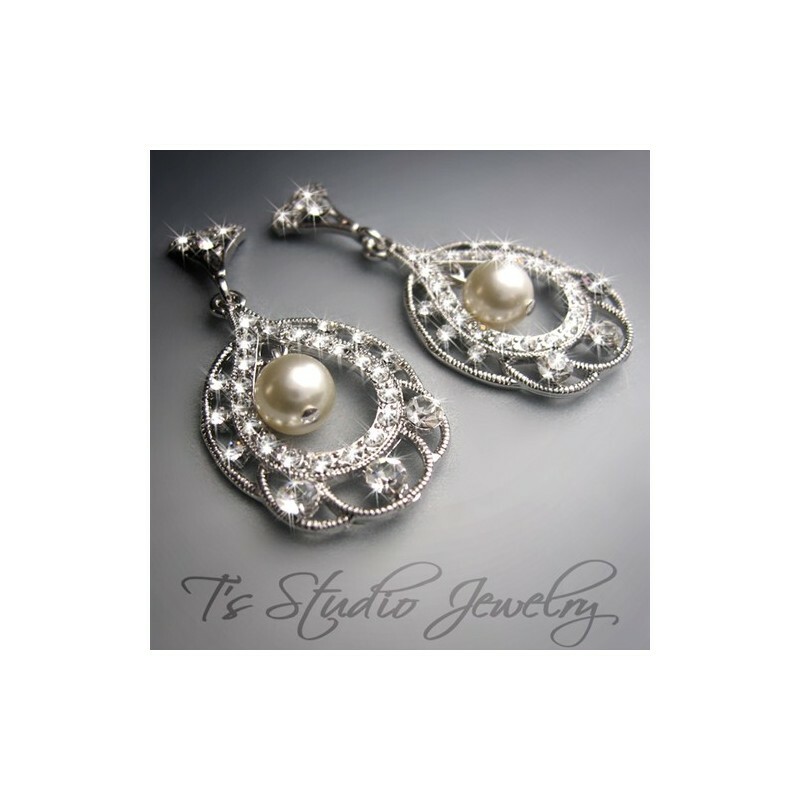 Please contact me if you would like a pearl color other than white or ivory.